The PACS mobile application, Centricity Radiology Mobile Application (CRMA), has been replaced with Zero Footprint (ZFP) viewer effective as of October 30, 2017. The ZFP viewer is better optimized for larger screen sizes like the tablet. Similar to CRMA, VPN is required to access ZFP. Please use your local browser to access ZFP. The ZFP is supported on Safari, Chrome, Firefox, and Edge. Please access this link: ZFP or go through Mednet -> Clinical Systems -> Image Viewer. The hand gestures are provided in the Quick Reference Guide on Mednet. For any questions or concerns, please call ISS Customer Care at 310-267-CARE (2273). UCLA Health is exploring ways to provide mobile access to CareConnect. At this time, there are several ways to access CareConnect through smartphones and tablets: Using Epic apps -- Haiku and Canto -- and by using Citrix Receiver. 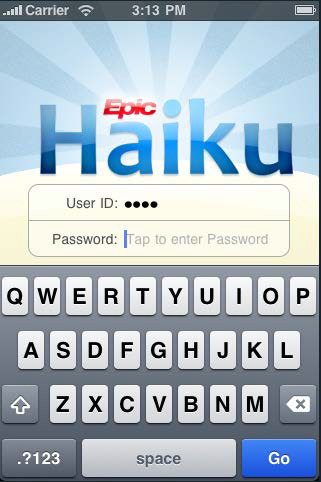 Haiku and Canto are mobile applications created by Epic that give providers secure access to view patient records using an iPhone, iPad, or Android smartphone. Haiku is a smartphone app that will work on iPhones, iPads, and Android phones. It has slightly more features than Canto. For example, iPhone and iPad users will be able to send outpatient ePrescriptions using Haiku. Canto is the iPad app. It is optimized to show more information at a glance using the wider screen size of a tablet, but it does not have the full set of features available in Haiku. Physicians and other providers, such as PAs and NPs, will be able to use Haiku and Canto on their own iPads and iPhone and Android smartphones. See these instructions for downloading Haiku and Canto. Click here to view the Haiku Quick Start Guide. Click here to view the Canto Quick Start Guide. Click here to access eLearnings. View clinic schedules, hospital patient lists, patient summary information, encounters, and test results. View image and EKG results (At this time, however, images are not viewable in Haiku and Canto). Perform limited InBasket functions, such as sending and receiving staff messages, reviewing results, and managing refill requests (Haiku iPhones only). If a patient calls with an urgent issue or one that requires same-day resolution and the provider is only available remotely, staff should page the doctor. For patient calls that require provider follow up but are not time-sensitive, staff may use a staff message to send information in CareConnect. Providers may then view and respond to staff messages remotely, using Haiku and Canto. Immediately dictate information on a note using UCLA Health's dictation system. Use Haiku or Canto to send a staff message containing the required documentation. Since staff messages are not part of the medical record, this information should be copied and pasted into an encounter by the staff member. Use Haiku or Canto to send themselves a staff message reminder. They would then enter the supporting documentation the next time they log into desktop version of CareConnect. You may not store Protected Health Information (PHI), patient billing information, patient SSNs, or other sensitive data on your smartphone or iPad. PHI viewed in Haiku and Canto will not be stored on your device. At this time, full access is only truly available through a UCLA Health computer or your own computer via Citrix. You'll find instructions for connecting to CareConnect from a PC here, and from an Apple computer here. It is possible to run the Windows version of Epic on the iPad using an application called Citrix Receiver for the iPad. While this solution provides access to the full version of CareConnect, it's difficult to use because it's not optimized for the iPad's touchscreen. The UCLA Health IT help desk is not currently providing full support for Citrix Receiver. However, if tech savvy users wish to try this out, instructions for loading Citrix Receiver on an Android device here; click here for instructions for installing it on iPads or iPhones. Click here to view a comparison of Haiku, Canto, and Citrix Receiver functions. 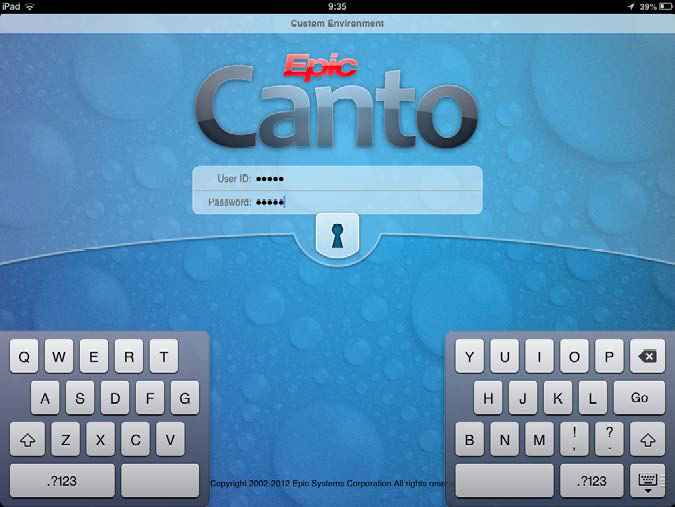 UCLA Health is releasing Canto as an optional tool that providers may choose to install on their own iPads. UCLA Health providers and practices interested in purchasing iPads should go to the ISS Portal for pricing information and purchasing instructions. Call Customer Care at (310) 267-CARE. Customer Care Specialists are available 24/7 to provide support. Click here to view FAQs about remote access to CareConnect. Click here to view FAQs about remote access to UCLA PACS using CRMA.